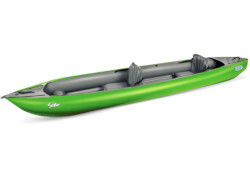 An easy to transport inflatable kayak for the whole family. Visit our Clearance Section to see last years model at a discounted price. The versatile Solar from leading inflatable manufacturers Gumotex has fully adjustable seats (included). 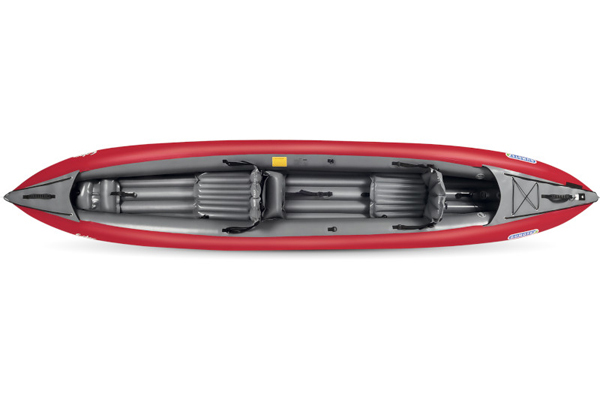 These can be configured to allow the Solar to be paddled solo, tandem or even room for a small third passenger. With its long waterline length equating to a nice, fast cruising speed, the Solar is fantastic for longer or extended trips on flat water or sheltered coastal cruising. 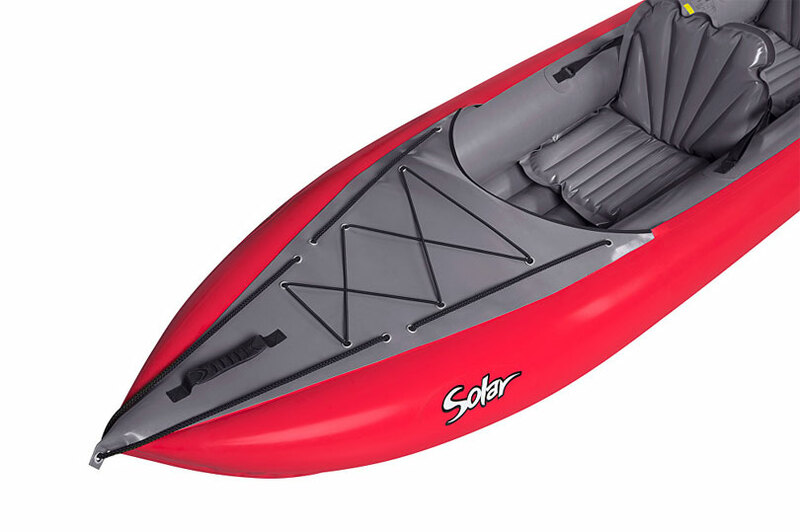 Designed to be stable and easy to paddle, the Solar could be the perfect kayak for beginners looking for family fun at the beach or exploring Britain’s inland waterways. 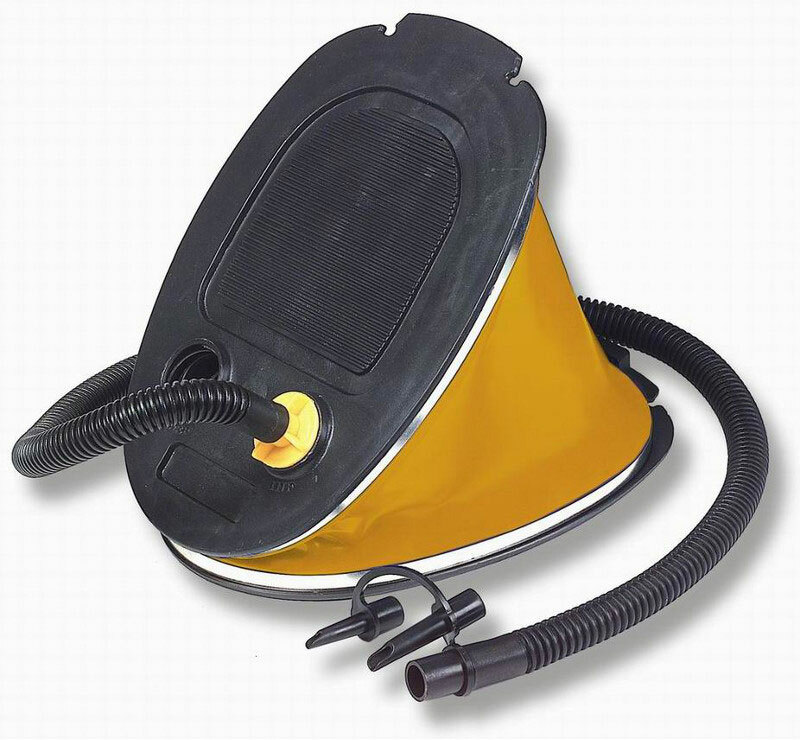 Like all in inflatable’s, the Solar can be deflated and packed down to a small, manageable size (approx. 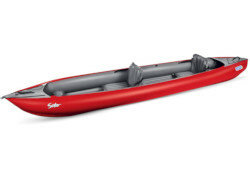 the size of a suitcase) making it easier to transport and store than other rigid hulled 3 person kayaks. What sets the Gumotex Solar aside from other manufacturers is in its construction and materials. It has been made from highly durable Nitrilon Materiel which has been proven to be strong, durable and quick drying. 3x Removable / Adjustable Seats. Elastic Bungee Net Storage Area. Front and Rear Carrying Handles. Pressure Relief Valve Built into the Floor. 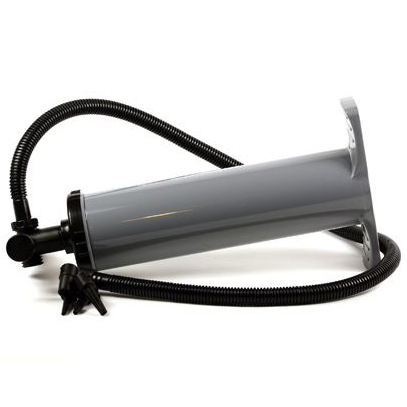 Repair Kit and 70 Litre Storage / Drybag Included. 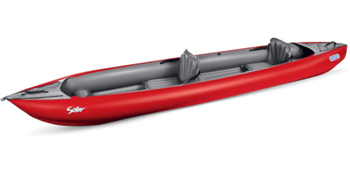 A Lightweight 2 piece paddle, lighter and a more convenient option for transport and storage. This drybag will help to keep kit together and protected from the elements. You can buy a Gumotex Solar 3 online from our website and pick it up from ourselves or from any branch within the Canoe Shops Group. There is no cost associated with instore collection*.